The country’s biggest two-wheeler maker, Hero MotoCorp, on Wednesday expanded its presence in the fast-growing scooter market, unveiling two new scooters – the Maestro Edge and the Duet – both with 125cc engines – at the Auto Expo in Greater Noida. These two products were earlier available with 110cc engines. 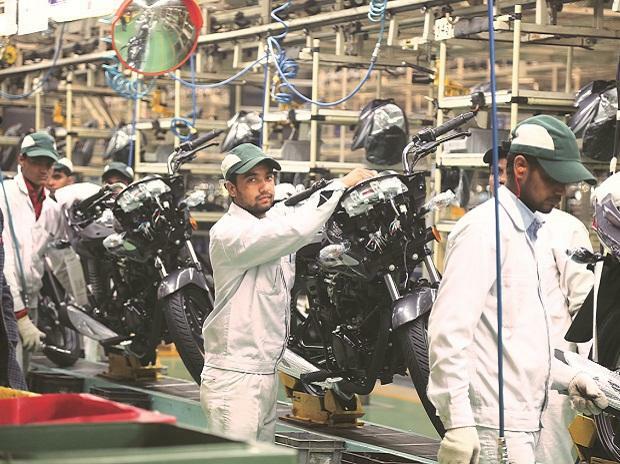 Hero MotoCorp has been focusing on the scooter segment, where its former partner Honda Motorcycle & Scooter is the leader, with a market share of 57 per cent. 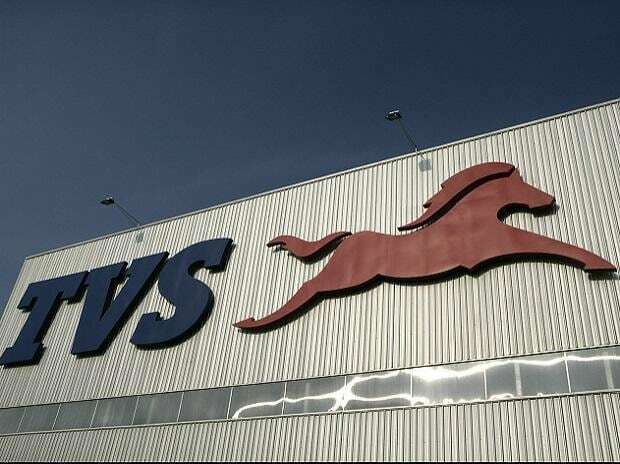 Hero, with a market share of 13 per cent, is the third-biggest player in the scooter market; TVS Motor is the second-biggest. Every month, India sees over 565,000 units of scooters being sold. 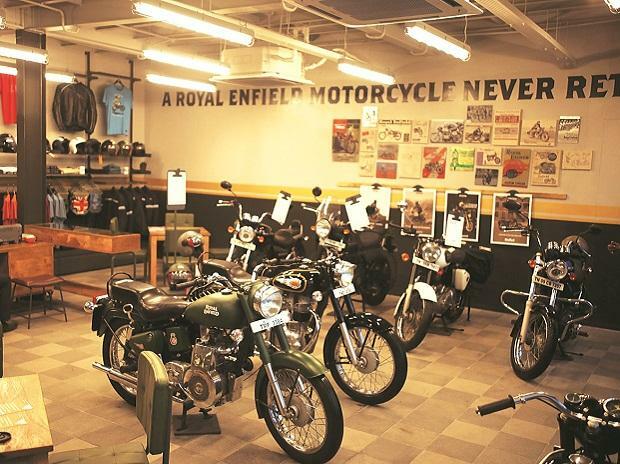 These now account for about 30 per cent of the two-wheeler market. “We will continue to have an enhanced focus this year on two rapidly growing segments – premium motorcycles and scooters. 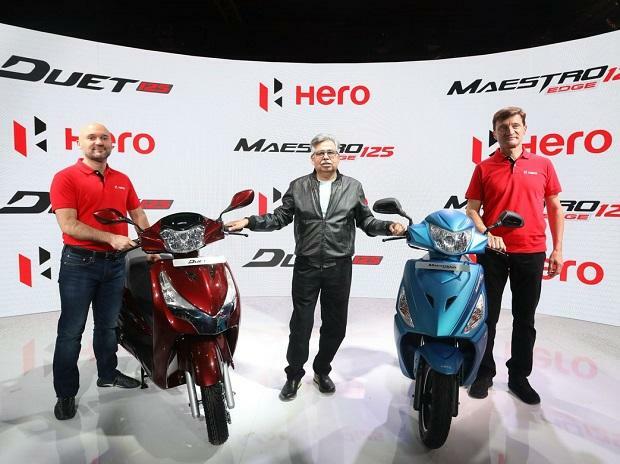 Aligned with this strategy, we have showcased two new scooters and a dual-purpose motorcycle, which will be launched later in the year,” said Hero MotoCorp Chairman & Managing Director & Chief Executive Officer Pawan Munjal. Munjal had earlier said his company would gun for a leadership in the scooter segment. The new Maestro Edge 125 is powered by a new 125cc energy boost engine, producing a power output of 8.7 bhp @6750 and the maximum torque of 10.2 Nm @5000 rpm. The scooter, in a first, also brings Hero’s intuitive i3S (Idle-stop-start system) to the scooter segment, for enhanced efficiency. The product offers enhanced road safety, with an integrated braking system and front-disk brake, an optional feature. The new Duet 125 is a metal-body scooter and comes packed with a host of features, such as a side-stand indicator, service reminder, pass switch, external fuel filling, boot lamp, mobile charge, etc. The new premium signature tail lamp and winkers, chrome strips, body colour mirrors and dual tone seat cover add to the styling of the scooter. Besides these two scooters, Hero also unveiled a 200cc adventure bike, XPulse. The XPulse is targeted at the young and thrill-seeking riding enthusiasts who want a riding companion for leisure as well as adventure excursions. The company is strengthening its presence here to gain market share in the higher engine capacity segment. Last week, it had unveiled the premium 200cc bike, the Xtreme 200R. We are confident of further expanding our market leadership with these new launches, Munjal said. “The future of personal and shared mobility is on the cusp of a major shift. We are working on developing new technologies and solutions that will match our future aspirations. Our inherent capabilities in frugal engineering, aligned with a youthful approach will surely excite and engage our global customers,” he added. All these new product developments are taking place at the company's Rs 8.5-billion R&D centre in Jaipur, inaugurated in 2016.